Whether you need to create a new website or perhaps you are looking for a design refresh, we are confident you will be pleased with the results when you choose CDG. Our experience, speed and affordability coupled with old-fashioned customer service make us successful. Let us make your site work so you don’t have to and we can help make your company profitable. Choosing a web design firm could be your most important sales decision so make the right choice, CDG. Dave Green, President, formed Creative Design Group after selling his radio station broadcasting group. The three person staff that opened the doors started with a hope and a prayer that websites would become important and the business and staff have watched a world of excitement and constant improvement open up for their employees and customers. CDG began by hand coding websites and constructed one of the first banking websites in the Heartland and have grown to a customer base with over 40 states and four countries. Creative Design Group originally started as a regional Midwest design firm with more of our clients covering a 4-6 state area. But with our successful Google search engine placement and with the credo that every site we do sells another one, our business starts to expand nationwide. Being first or second in Google under “free website design quote” gave us hundreds of leads that we converted to clients at a very high rate. Our staff took off the blinders and realized that we had the opportunity to be a bigger national influence. Fast Company, an influential technology magazine, names CDG as one of the top influential web designers in the country – a high accolade for what started as a small town, mid-western design company. This recognition helps expand our coverage even more coast to coast and allows us to expand our staff, our design work, our marketing skills and increase our growth. CDG expands and becomes partners with new search engines, new ecommerce cart programs and begins to directly program our first software that will later become our content management systems. The iPhone, and the world changes. We have to do what? We have to start worrying about websites displaying on small devices in the palm of your hand? Programming becomes more difficult with the classic beta max vs vhs war going on in every phase of our business. Quick and nimble becomes key as the CDG staff is forced to try, evaluate and choose programming languages and software on an almost weekly basis. The first national discussion of mobile websites begins and this creates what would become CDG’s most important division, mobi marketing and design. Social media is exploding, unfriend and Google become verbs. Amid the banking crisis and market jitters CDG posts another consecutive year of sales and profit growth. CDG is on the cutting edge of programming and marketing - and customers continue to stay with us. CDG starts their Twitter page early and realized that no matter what the social media platform, they will come and go, but a successful, affordable website should still be the number one goal of all businesses. Our staff refocuses and dedicates even more energy to developing our CMS software and it’s capabilities expand to fit our new phones and tablets. Real estate, banking, car, rv and ag dealers accept and endorse our new software programming and more importantly, profit greatly from it. Our sites with CMS software to edit their website expand profit margins and total income on hundreds of our sites. Mobi’s are out – responsive is in. For the first time CDG starts programming responsive websites. The coding is new, the programming is difficult, but our customers need websites that float and move based on the device being used. Our websites need to work and look great on tablets, iPhones, Kindles, iPads and also look great landscape and portrait versions so that the customer can choose how a site needs to be seen. Life is exciting at CDG as our staff is pushed to new limits of knowledge and effort and they respond perfectly with jobs and websites well done. Our customers continue to choose us year after year after year. Finally we get around to redoing our website to make it responsive. Yes, we are late to that party but our customers come before us. While our board is filled with sites in development, we also needed to produce a new responsive site for ourselves. Google Analytics, our CMS software, Ecommerce with a new twist and search engine optimization – all subjects we have focused on for years – are expanded and vital to our success. The staff is faster and more knowledgeable than ever before and our customer retention rate continues to be over 94%, a value unheard of in website design. Come join us at CDG, we would love to have you along for the ride. Business has been very good as we continue to grow. CDG currently hosts hundreds of sites with thousands of jobs depending on our daily efforts. Our business changes daily with new software, new techniques, new browsers, new devices and new coding. Recently we have greatly expanded our custom software installation so our clients can save thousands by editing their site from anywhere, anytime, any place. Our customers grab their phone, take some photos or video and have the content on their site in minutes. You spend all your life creating or managing a company desperate to find successful partnerships that allow you to add profit. That’s what we do every day and have since 1998. Our clients tell us we are affordable - that’s important. Our clients tell us we are honest - that’s more important. CDG was built on customer service and a real person answers the phone every time you call. To improve your bottom line by providing website content, features and resources that maximize your online success while minimizing online time and labor. Whether it’s making sure your emails work or making sure your website is found CDG has done this thousands of times before, quite successfully, and we can provide you with hundreds of references that will confirm we deliver on our promises. Programmers, designers, marketers, search engine experts, ecommerce and content management specialists are all on staff and in-house. 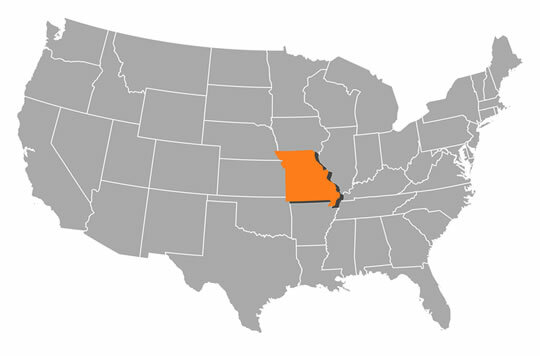 Plus, since we are from Missouri, we can easily work with you and help you take your ideas and site needs to the world. Our experienced staff means we do thinks quicker than the competition and our location allows for us to do them more affordably. We will not let your website fail! Whether we need to discuss search engine optimization or train your staff to edit the website in our software (most learn in 5 minutes), we will avoid the pitfalls and not waste your money. Then, after your site is published, you simply call or email for any change of direction or consultation. Our conversations are always free and we bill only on work done after approval. Free website design quote? START HERE!